Concrete damage is caused by the everyday usage and we aim to help you diagnose structural problems and offer solutions to help keep your concrete surface free from from further damage. Waterproof decks are required on surfaces that are exposed to the elements. 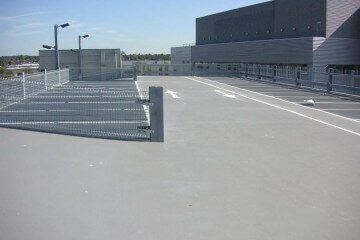 These are usually car parks an flat roofs that require a special coating to keep them maintained. Selecting the correct external flooring for your environment can be a critical element of ensuring your business operates to it’s full capacity and potential. By choosing the appropriate options, it is possible to extend the lifetime of your flooring, saving both time and money. 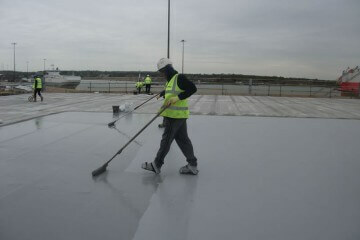 In businesses, external floorings are also used to raise awareness using external floor paints and line markings. External resin flooring can often be used in a residential setting, a cost effective and long-lasting option for home renovators. Addaset Resin Bound surfacing system creates a hard wearing and visually appealing exterior floor coat with minimum maintenance. Manufactured using a range of both natural and recycled aggregates and Krysteline recycled glass, it provides a bound surface once applied. 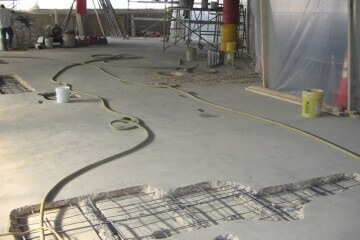 A favourite of industrial flooring contractors as it is a flexible and crack resistant resin flooring, it is a popular option for external flooring. Tell us about your External Flooring project and we will give you advice on the type of flooring system needed and typical cost to install it. In addition to creating a resin coating for concrete, Addaset Resin Bound surfacing system can be utilized by industry in combination with other external flooring options. 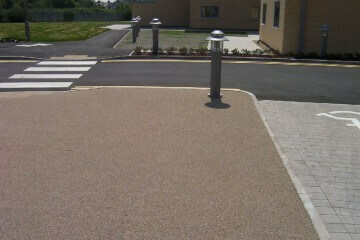 Its principal benefits include high aesthetics, durability and anti-slip properties, and the use of local aggregates. Applied to asphalt, timber, steel surfaces as well as concrete, the versatile Addastone system is used for footpaths, carparks, cycle paths, driveways, footbridges, and in theme park and landscaping schemes.